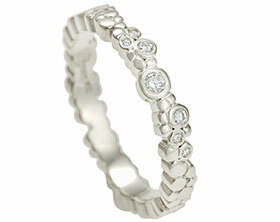 Meena and Clement loved the idea of matching eternity rings. 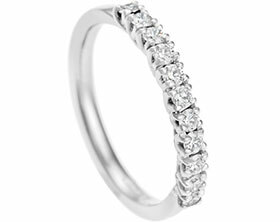 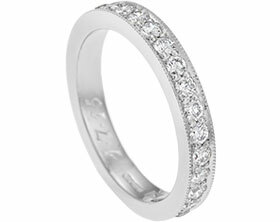 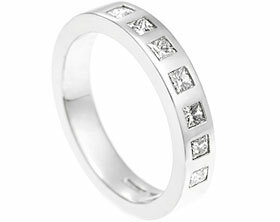 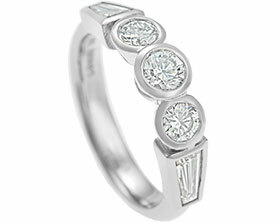 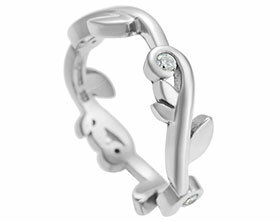 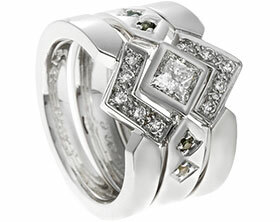 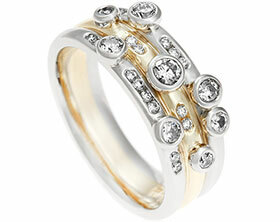 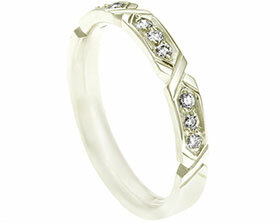 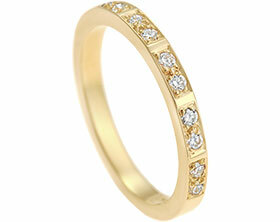 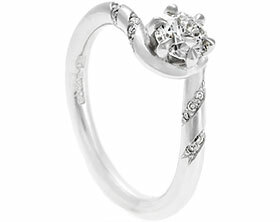 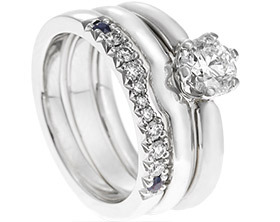 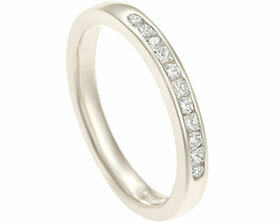 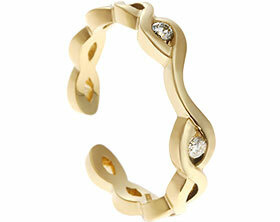 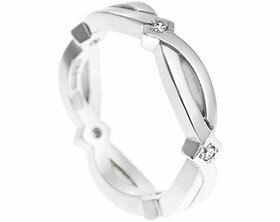 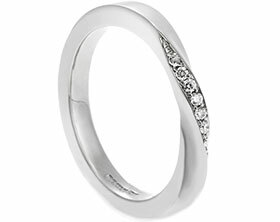 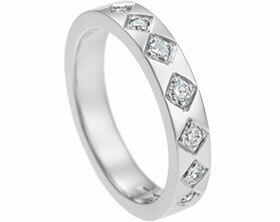 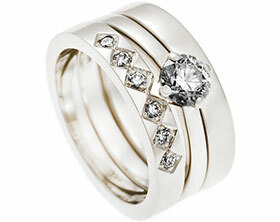 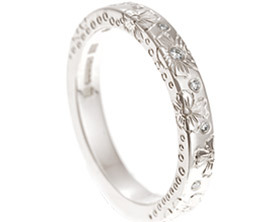 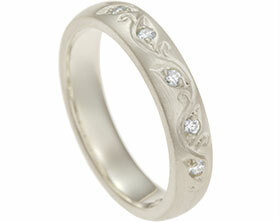 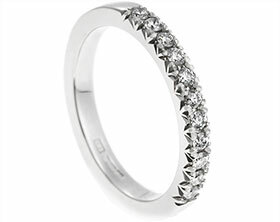 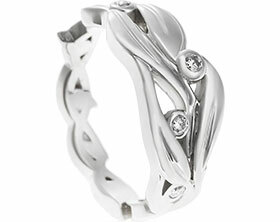 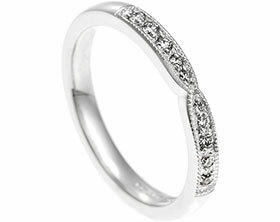 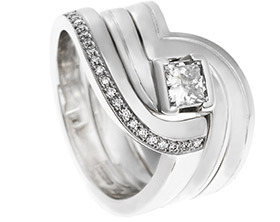 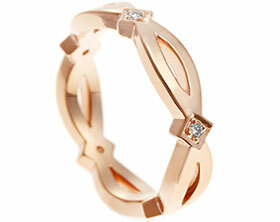 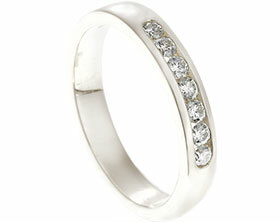 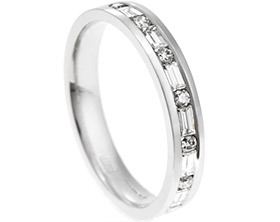 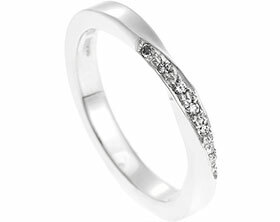 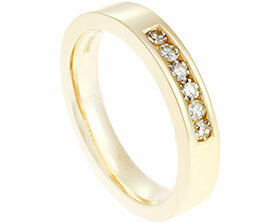 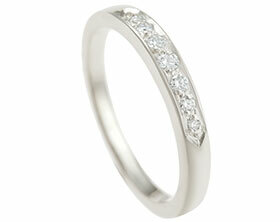 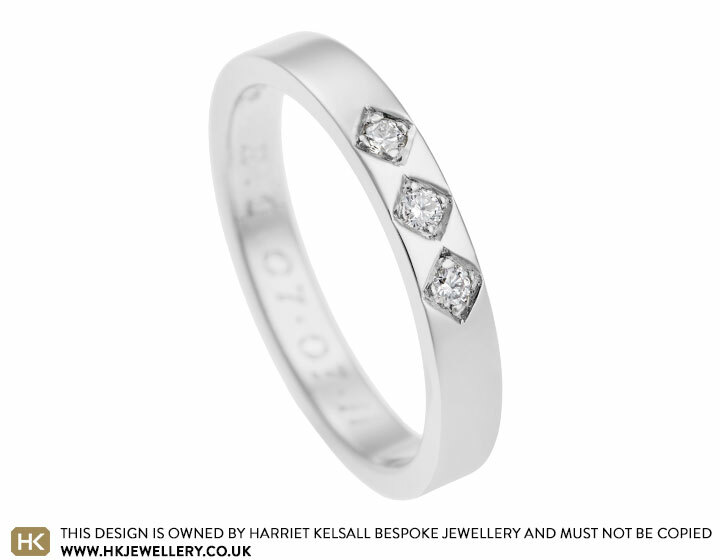 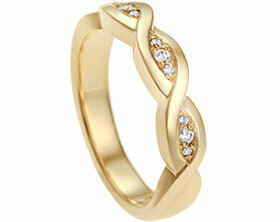 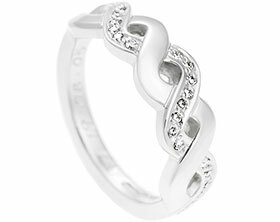 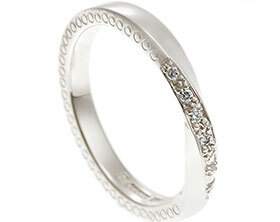 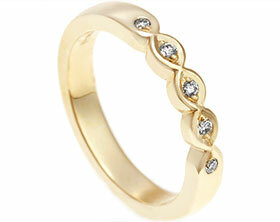 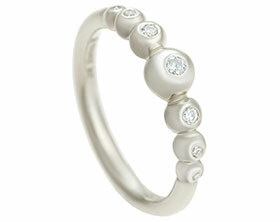 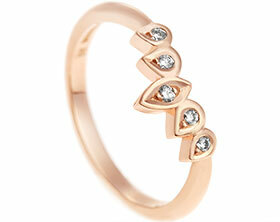 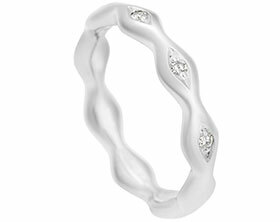 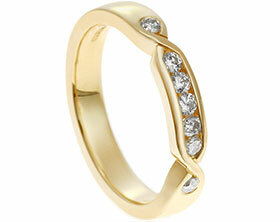 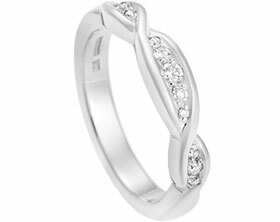 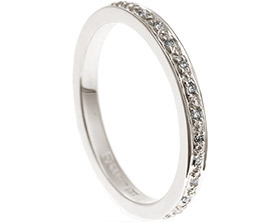 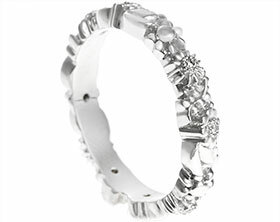 Meena’s ring features three G-H VS1-2 brilliant cut diamonds totalling 0.08ct. 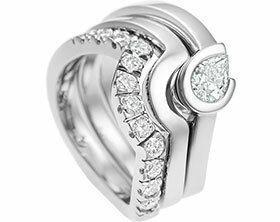 The stones have been square grain set on their points across the band to create a unique design. 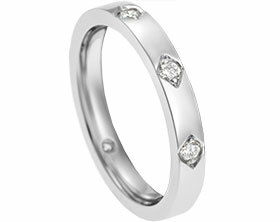 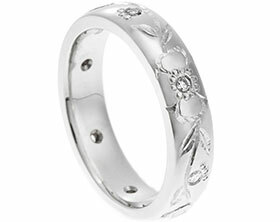 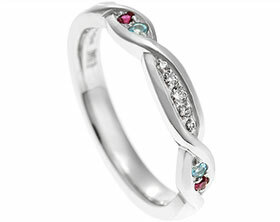 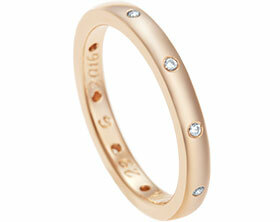 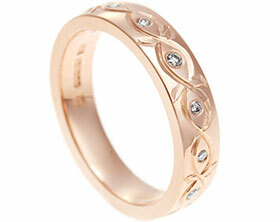 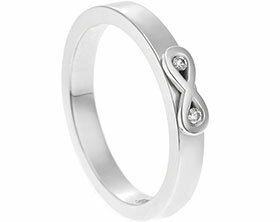 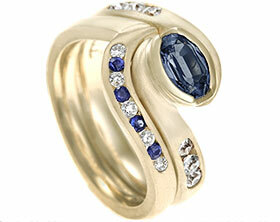 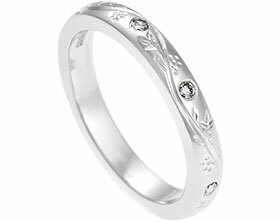 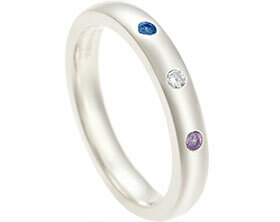 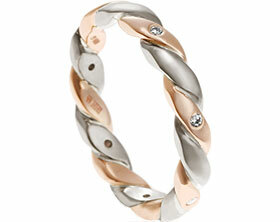 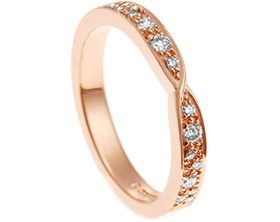 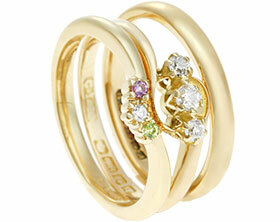 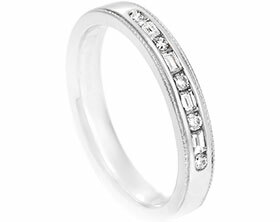 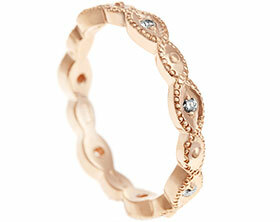 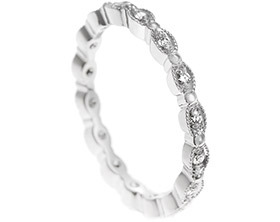 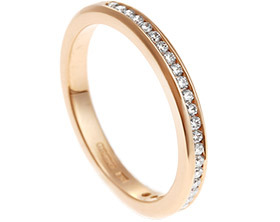 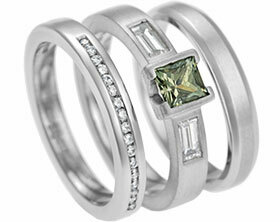 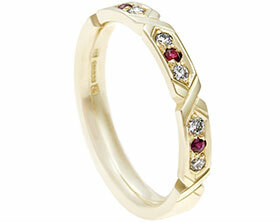 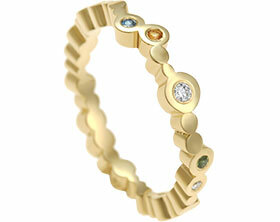 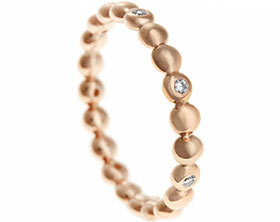 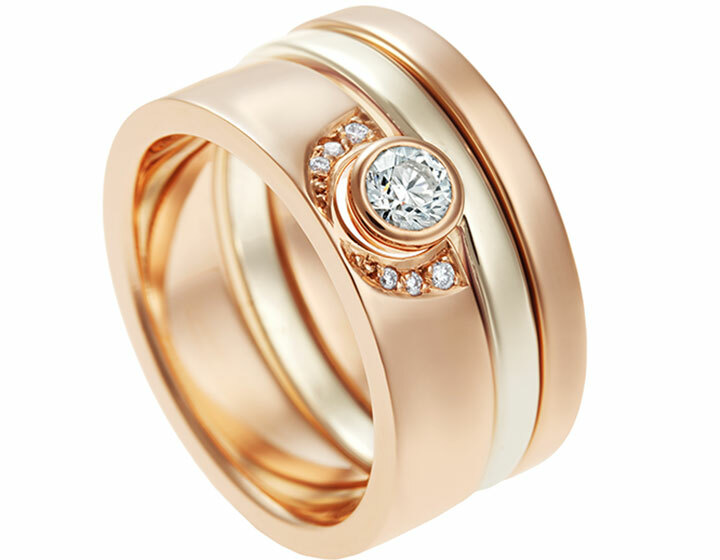 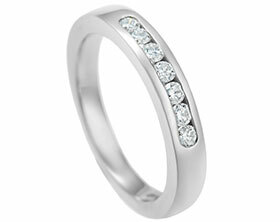 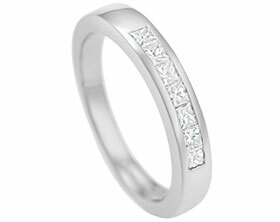 Clement’s eternity ring has been made in a similar style but with coloured gemstones instead of diamonds.